176 pages | 11 B/W Illus. 1. Carbon Nanomaterials Are Resolving the Challenges and Issues of Future Lithium Ion Batteries. 2. Carbon Nanotube and Its Composites as Anodes for Lithium Ion Batteries. 3. Carbon Nanotube and Its Composites as Cathodes for Lithium Ion Batteries. 4. Carbon Nanotube/Polymer Nanocomposite Electrolytes for Lithium Ion Batteries. 5. Graphene and Its Composites as Anode for Lithium Ion Batteries. 6. Graphene and Its Composites as Cathodes for Lithium Ion Batteries. 7. Graphene/Polymer Nanocomposite Electrolyte for Lithium Ion Batteries. Dr. Prasanth Raghavn is a professor in the Department of Polymer Science and Rubber Technology, Cochin University of Science and Technology (CUSAT). He received his PhD in Engineering from the Department of Chemical and Biological Engineering, Geyongsang National University, Republic of Korea, in 2009, under prestigious Brain Korea (BK21) Fellowship. He completed his B.Tech and M.Tech from CUSAT, India. After a couple of years of attachment stint as Project Scientist at Indian Institute of Technology (IIT-D), New Delhi, he moved to abroad for his PhD studies in 2007. His PhD research was focused on fabrication and investigation of nanoscale fibrous electrolytes for high performance energy storage devices. He completed his Engineering doctoral degree in less than three years and still it’s an unbroken record in Republic of Korea. After the PhD, Dr. Prasanth joined as Research Scientist at Nanyang Technological University (NTU), Singapore in collaboration with Energy Research Institute at NTU (ERI@N) and TUM CREATE, a joint electromobility research centre between Germany's Technische Universität München (TUM) and NTU, where he was working with Prof. Rachid Yazami, the one who introduced graphitic carbon as anode for commercial lithium ion batteries. After 4 years in Singapore, Dr. Prasanth moved to Rice University, USA as Research Scientist where he was working with Prof. Pulickal M Ajayan, the co-inventor of Carbon Nanotubes. Dr. Prasanth was selected for Brain Korea Fellowship (2007), SAGE Research Foundation Fellowship, Brazil (2009), Estonian Science Foundation Fellowship, European Science Foundation Fellowship (2010), Faculty Recharge, UGC (2015) etc. He received many international awards including Young Scientist award, Korean Electrochemical Society (2009), selected for Bharat Vikas Yuva Ratna Award, (2016) etc. He developed many products such as high performance breaking parachute, flex wheels for space shuttles, high performance lithium ion batteries for leading portable electronic device and automobile industries etc. He has a general research interest in polymer synthesis and processing, nanomaterials, green/nanocomposites, and electrospinning. His current research focused on nanoscale materials and polymer composites for printed and light weight charge storage solutions including high temperature supercapacitors and batteries. He have published a good number of research papers and book/book chapters in high impact factor journals and have more than 5000 citation and h-index of 30 plus. Apart from science and technology, Dr. Prasanth is a poet, activist and a columnist in online portals and printed media. Stelbin Peter Figerez is a graduate student at the Department of Polymer Science and Rubber Technology, Cochin University of Science and Technology (CUSAT). He is working in high performance lithium ion batteries and supercapacitors, under the direction of Prof. Prasanth Raghavan. He received his B.Tech degree in Polymer Science and Engineering from CUSAT. As a project fellow he received an opportunity to working with Prof. Jou-Hyeon Ahn, at Gyeongsang National University, Republic of Korea, and Dr. Tharangathu Narayanan Narayanan, at Tata Institute of Fundamental Research, Hyderabad. His thesis work consisted of development of nanocomposite polymer electrolytes based carbon nanomaterials for high performance lithium ion batteries operate at high temperature. In his research he describes the novel perspective of addressing the key problems of polymer electrolytes and fixed those by using polymer electrolytes based on nanofibrous membranes prepared by electrospinning. 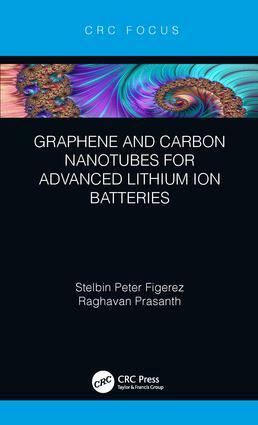 He has published several full length research articles, book chapters, and delivered invited talks on polymer electrolytes or nanoengineering of electrodes for the development of next generation lithium ion batteries in international conferences. Mr. Figerez has won many first prizes in the poster and oral presentations in international conferences as the recognition of his innovative research in the field of lithium ion batteries. His current research focused on advanced nanomaterials and the sustainability aspects of high temperature lithium ion batteries, including life-cycle assessment considerations in collaboration with Gyeongsang National University, Republic of Korea and Tata Institute of Fundamental Research, Hyderabad. His current area of interest are flexible, printable and rollable energy storage solutions and developing novel nanomaterials for sustainable energy applications like super capacitors, fuel cells and lithium ion batteries.